Where in the World is Djerba? Djerba (pronounced jer-buh) is one of those places in the world that somehow has remained a very well kept secret. Sometimes when I talk about it, I receive just a raised eyebrow and a puzzled look. If you are one who doesn’t know much about Djerba, then read on, because Djerba is a secret that is definitely worth being in on. 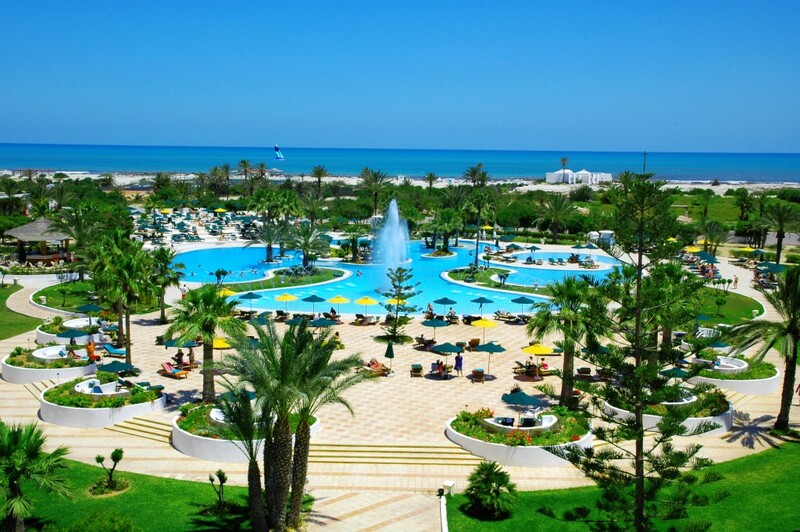 Djerba is located off the coast of Tunisia in the Gulf of Gabes. It is the largest island of North Africa and is a tourist destination for many people from France, Germany, and Italy. Although it is a relatively large island, it is not largely populated. The biggest city on the whole island is home to only about 60,000 people. Djerba is known as the Island of Dreams, and the moment you see it, it is easy to see why. The island is covered with thousands of palm trees, and rises up gently from the sea like an enticing mirage. It is the perfect destination for the traveler who is looking for calm, peace, and tranquility. This Polynesia of the Mediterranean is ringed by stretches of fine white sandy beaches and luxury hotels, some of which are fashioned in a traditional style, and others that are ultra-modern and posh. One of the things for which Djerba is most famous is its utterly breathtaking sunrises, which are filled with color and reflect gently off the sea. To see what I mean, watch this video of a Djerba sunrise on Youtube. Trust me- it will make you feel like packing your bags right away. Djerba has a pleasant climate all year round, which makes it a lovely place to tour the island by bicycle, sail, windsurf, kite surf, snorkel, ride on horseback along the beach, and participate in a wide variety of other water sports and activities. But there is something unique about Djerba that really distinctly sets it apart from other tropical destinations. It is the home of El Ghriba Synagogue, and the most important Jewish community of North Africa. The synagogue of Ghriba, which means “the beautiful,” was built during the sixth century. It is nowadays the seat of an important annual pilgrimage that takes place on the 33rd day of the Jewish Easter. The site of El Ghriba is the place where a stone fell from heaven, and where miracles were performed when the sanctuary once was built. While it has been a holy place for more than 1,400 years, the present buildings were actually just built during the 20th century. Most of the construction today is a hostel for Jewish pilgrims. El Ghriba is also still today the home to the world’s oldest Torah scroll. In addition to El Ghriba, there are 10 other synagogues in Djerba, and a population of about 1,000 Jews, which makes up a substantial part of the population. The community of Hara Kbira is Jewish, although perhaps not so obviously to the visitor’s eye. Since this is a working community, you actually probably won’t see many other tourists here, either. If you look with an attentive eye, you will see evidence of the communities’ Jewish faith in the doorways that have been painted blue in order to protect families from the evil eye. Djerba embodies the true island lifestyle: the attitude is light, and the atmosphere is tranquil. The Tunisian island offers attractions that are quite unlike any other place on earth. What’s the Hype with Maccabia this Summer? Where in the World is Pushkar? TAL Tours © 2018 All rights reserved.